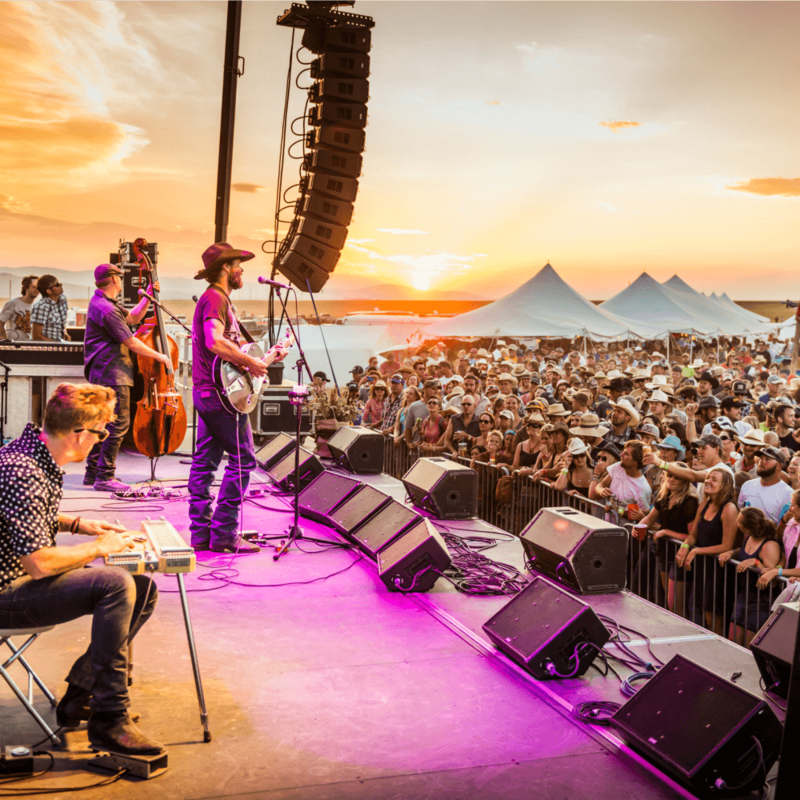 Photograph by Tony Demin | Pictured: Corb Lund, a beautiful setting and a good cause. Coco Chanel has a ‘rags-to-riches’ story—one that you’ve heard told in hundreds of different ways, surely. But, if you can sit through any documentary of her life and be uninspired, you are probably a robot. Of the many things Coco brought to this world in her 87 years of living, including the little black dress and Chanel No. 5 (bless her heart), what is most universally valuable about her legacy is her attitude about being a feminine force of nature. Nobody has to wear two-toned pumps or live in Paris to get on her level about it either. For women who usually dress in duck- cloth pants covered in paint, sawdust, mud, or blood from pulling a calf from its mother, for those of us who live in a land far from Paris, all we need are her words. She said that “A girl should be two things: who and what she wants.” Damn. Right. Coco. I have reason to believe that Coco Chanel and Sarah Calhoun would have been dear friends if they had been afforded the opportunity. Sarah is the creator and founder of Red Ants Pants—a company that designs and sells women’s workpants—and is also the founder of The Red Ants Pants Foundation. This non-profit organization is largely funded by the Red Ants Pants Music Festival (also hosted by Sarah) that takes place in White Sulphur Springs, Montana, and is dedicated to supporting women, and partnering with Montana’s rural communities as they maintain and strengthen their wellbeing. The foundation’s mission, specifically, is: to develop and expand leadership roles for women, to preserve and support working family farms and ranches, and to enrich and support rural communities. Here is a look into what the grants have allowed only a few of the recipients to do with their passions in rural America. This couple met at a track meet when they were in middle school. Although Courtney admits that Jacob was her all-time high school crush, their paths did not permanently cross until well after college when each of them independently moved back to Missoula from different locations in the Midwest in the same week. 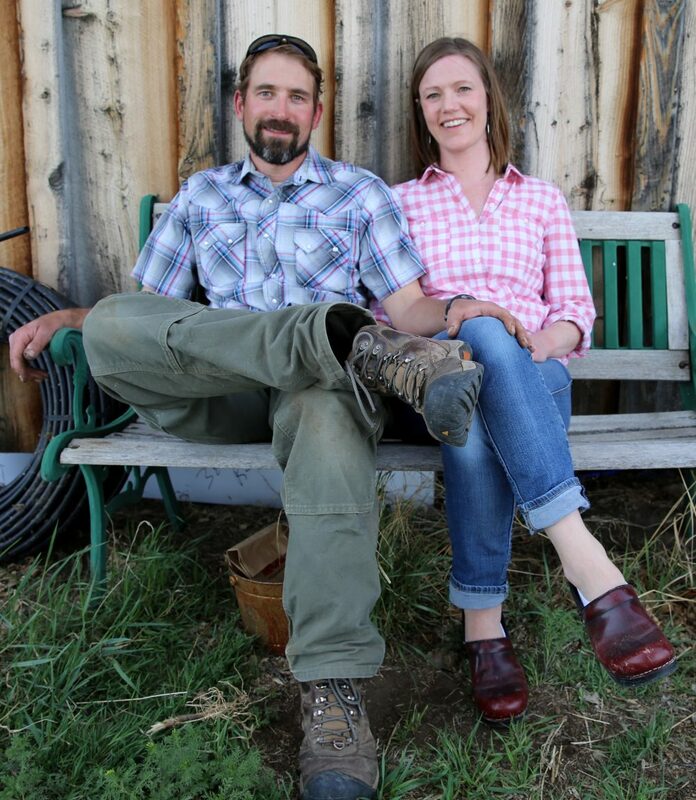 Now, Courtney, Jacob, and their darlin’ toddlers, Willa and Eli, live in Power, Montana, where they grow heritage grains and organic vegetables that they sell in a CSA program in the Great Falls area. They received the grant in 2012 to purchase a mill so they could make and sell flour. When we pulled in to Connie Surber and Laura Ginsberg’s farm, we were greeted by kindred spirits in coveralls, and ear-to-ear smiles—welcoming and warm. 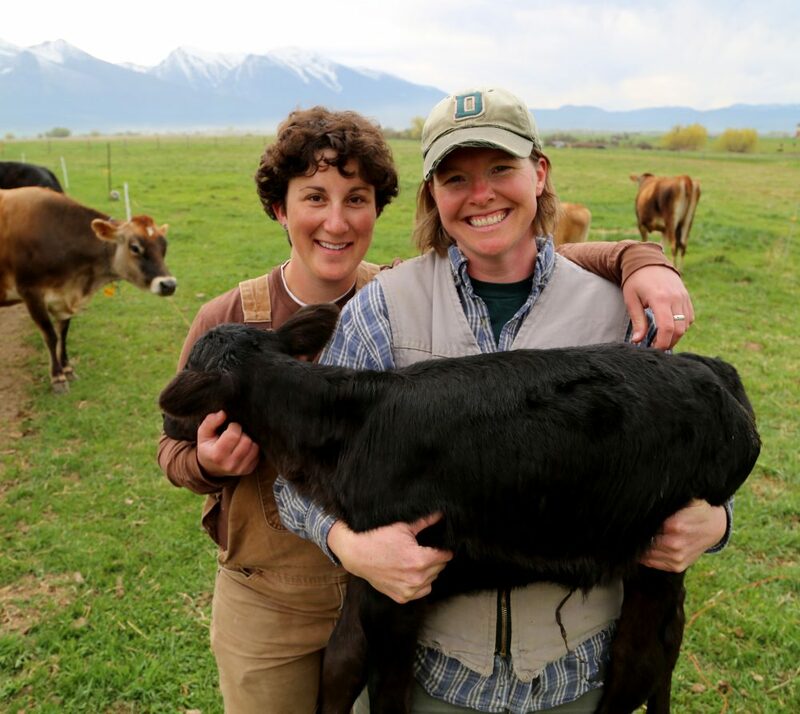 These two fine ladies met while working on the Paintrock Angus Ranch in Wyoming and after many years in many places, decided to settle with their bovine entourage in St. Ignatius, Montana. The Golden Yoke has been a dream long in the making. Connie holds a bachelor’s degree in dairy science from Virginia Tech, and Laura received a Fulbright Scholarship some years ago to study the dairy industry in New Zealand. The grant they received in 2013 made it possible for Connie to attend the Penn State Ice Cream School (yes, it’s a thing, a seven-day course where you “go from cow to cone”) in preparation for opening their creamery this spring. “Besides giving us the street cred that comes with getting a Red Ants Pants grant—they’re really well known around here—it was literally the start of our business,” Laura says. “Yeah, without the education that the Red Ants grant afforded us, we couldn’t have chosen our direction to make ice cream in the traditional way—with just milk, cream, and sugar—nor would we have gotten the additional funding we needed. Furthermore, the grant opened up a door for conversation with our community about food. It’s been awesome.” Connie beamed, and offered me a bite of simple frozen joy that I could not refuse. 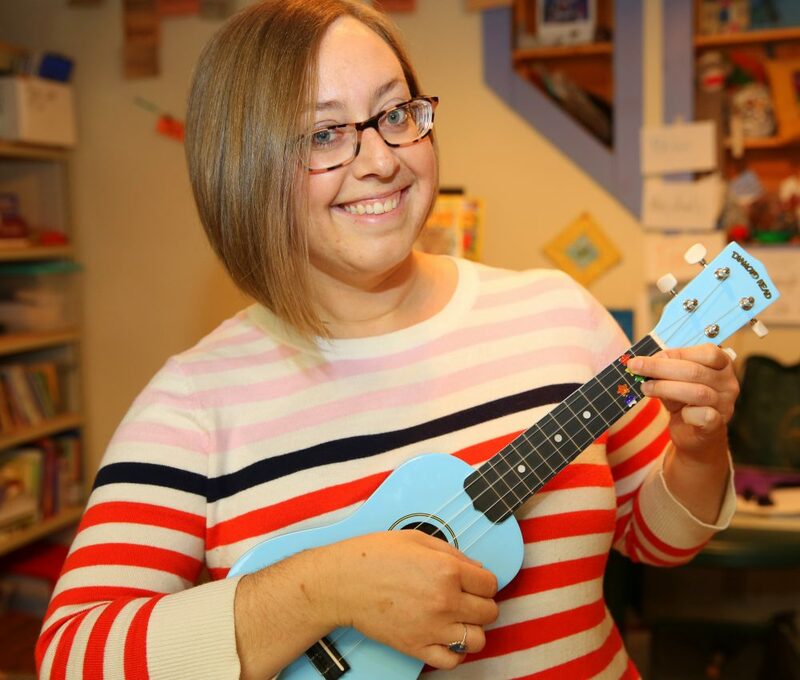 Anna Baker’s career path in carpentry was the result of needing to get an industrial arts credit during her senior year of high school, and typing class just didn’t sound all that enticing. In her shared-space shop, her corner is filled with antique wood—old oak doors and barn wood boards that many of her woodworking friends think are be fit to be burned. “It’s the story of this wood that makes it hard to throw away.” She points to a wide, aged single piece, “We can’t find wood like this anymore. We don’t have trees that big…” Anna is the president of the Woodworker’s Guild of Helena, and the only female carpenter with a company called Design+Craft. 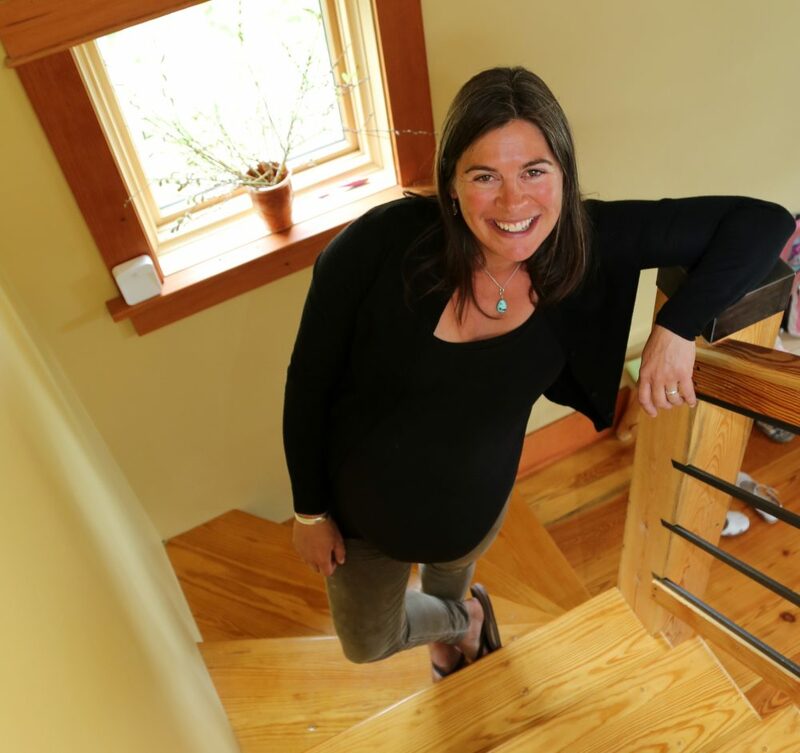 In 2013, Anna received a grant when she was self-employed under the company name Redtail Woodworks to get a high-quality planer. Tara pulled up in a flatbed Chevy, jumped out, and shook my hand. The first thing I noticed was her balance of grit and glam. Her hair was fabulous, her turquoise necklace stunning, and her matter-of-fact approach to conversation and cattle was refreshing. 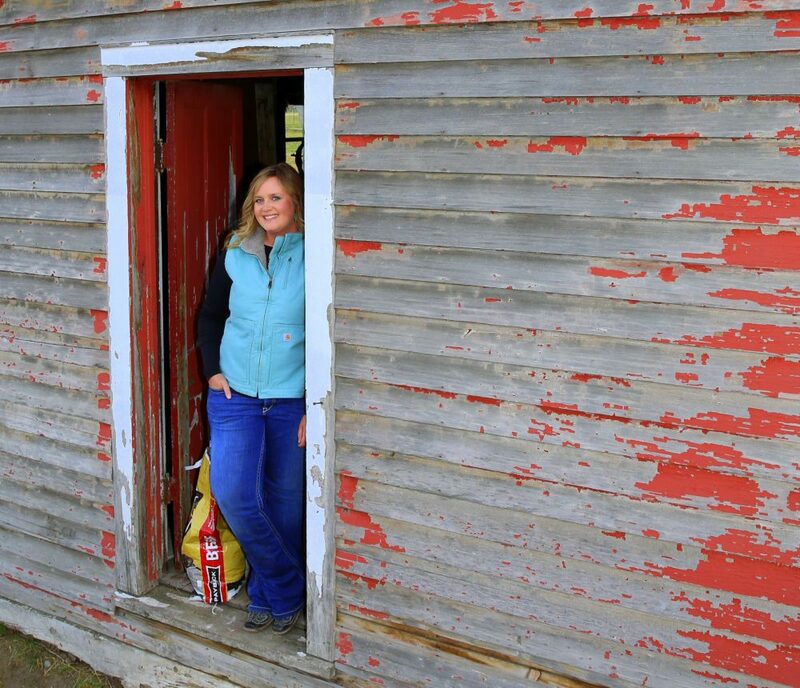 Tara is a fifth-generation rancher in Sweetgrass County, Montana, and it was a deliberate choice to be so. She’d left Big Timber, her hometown, to attend Montana State University and had been working for the USDA for eight years when she and her husband decided to return to Big Timber to carry on her family’s line of work. “I love it,” she says, while a bag of cake (which is like crack for cows) sagged under her arm.